The way we’re feeling really matters to our dogs. They’re always going to soak up our feelings, even when we think we’re not showing them. That means that if we try to solve any problems our dogs may be having, we’ll only be doing half the job if we don’t also attend to our own mind state. 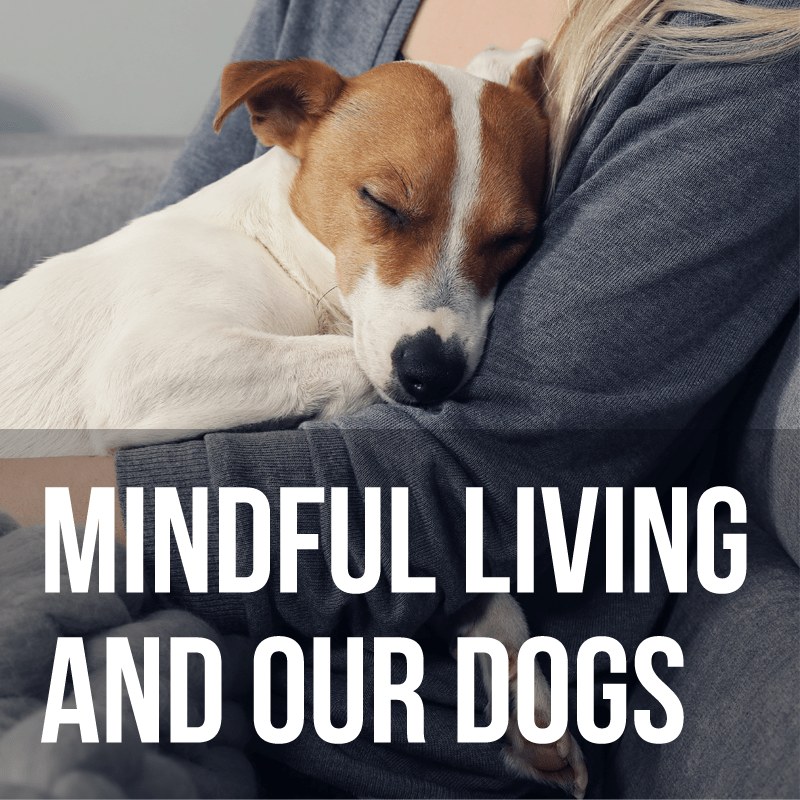 This one-day workshop will teach you how to reduce stresses your dog may be experiencing, while at the same time offering you ways to deal effectively with human stress and the problems it generates, for example, anxiety, sleep disturbance, difficulty concentrating, and an inability to relax. We aim to ensure that once you’ve enjoyed the day with us, you’ll have the tools to create an atmosphere at home that is more relaxing, and both you and your dog will be feeling much calmer and happier. Booking a handler place allows you to bring your dog to the workshop. If you feel your dog would find an environment with other dogs challenging, or if bringing them would affect your ability to focus, you are able to attend as a Spectator. Dogs should be able to settle beside you for parts of the day while you work on the human end of the lead. Caroline Wilkinson is a Certified Animal Behaviourist and ABTC Registered Animal Training Instructor. She has been approved full membership, following assessment, of INTO!Dogs, PPG, and MAPDT (01212). She is committed to using only the most positive, kind, fair and effective training methods. Caroline has a passion for improving connections between human and hound, with a focus on relationships and reduction of stress for canines living in a human world. She is part of the International School of Canine Psychology and Behaviour Affiliation Programme, increasing cooperation and collaboration between students and teachers within all areas of canine study, for the benefit of all. Caroline lives with her partner and their two Basset Hounds, Ezri and Chester, in South Gloucestershire. Linda Blair studied psychology at Wellesley College and Harvard University in America, then trained as a clinical psychologist at the Maudsley Hospital (University of London). She’s worked in the NHS, for the Medical Research Council and at the Universities of Cambridge and Bath, and she had a private clinical psychology practice for 35 years. She now writes a weekly column, ‘Mind Healing’, for The Daily Telegraph. She’s written five self-help books, and has been a regular columnist for the Guardian, The Times, the Daily Mail, and Psychologies magazine. Linda also broadcasts frequently on radio—stations include BBC World Service, Radio 4, Radio 5, and both BBC Wales and Scotland–and she’s often seen on TV (Sky News, ITV, BBC) as an expert on matters psychological. She’s also in demand as a speaker for businesses, schools and other organisations. Linda lives with her partner and their two beloved dogs in Somerset, and is joined from time to time by one or more of their four (now grown) children.